As consumers have unlimited access to an internet-driven world, the need for trustworthy community-based platforms increases. David Cheng, the CEO of Pathfynders, is launching the development of a platform that is uncensored and collective for many industries. Cheng’s company Pathfynders plans to utilize the concept of blockchain to introduce a new solution with the ability to decentralize content. Decentralized content allows the platform’s users to control the content themselves. Similar to the concept of Wikipedia, Reddit, and Steemit, having users curate the quality of posted content decreases the amount of possible false or misleading information. CEO, David Cheng, was presented with an inspiring dilemma caused by the sheer volume of information. What inspired you to start Pathfynders company? Cheng was compelled(since ‘he’s a data guy,’ as his friend put it) to create a way for new users to easily access correct, helpful information: platform that was filtered by users, allowing only the top content to be found. Q. What’s your background, how’d you become ‘the data guy’? From there, he eventually left to build a consulting company in the healthcare industry. After 8 years, Cheng realized he wanted to branch away from consulting to building products. Raising venture capital for his company, Cheng built the first system of health information exchange that operates entirely on the internet. By building this platform, hospitals, labs, clinics, insurance companies, and the entire medical industry can easily connect with one another. 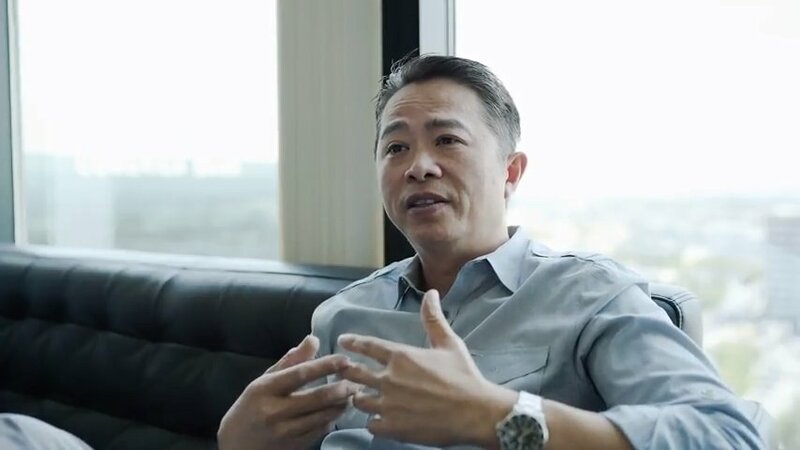 Through the growth of his company, Cheng eventually was bought by one of his partners and sold to IBM, leaving David working with big data at IBM as an industry executive. However, Cheng missed the fast pace of the startup environment. Wanting to return to a smaller company once more, Cheng founded Pathfynders, a platform that offers a space for businesses and users to provide valuable contributions for specific communities so they can be educated on a various topics. To help bring the platform to fruition, Tommy Ngo joined the Pathfynders team with David Cheng from San Francisco as Chief Product Officer. Ngo is no stranger to the fast-moving world of technology and is acclimated to the user-friendly platforms. Q. What is your background with user-based platforms? David and Tommy met at a previous job where they were spearheading separate projects before deciding to develop Pathfynders. They saw a big opportunity in utilizing blockchain by recognizing the vision of where the cryptocurrency market is headed within online communities. Q. After being from prominent companies such as Zynga, what is your development strategy for Pathfynders? Tommy Ngo: “I’ve launched and managed consumer-facing products that’s reached hundreds of millions of people. Leveraging data to understand users has become second nature to me so my team and I always look at data driven or data informed development approaches. Tommy Ngo: “My philosophy for development at Zynga and all the other previous companies I worked at was to always think of the users first and build an amazing user experience in our products. This is how we engage the community to build a growing and profitable model. These are the entrepreneurs of a small startup who collaborate to best utilize blockchain for common behaviors practiced by users every day. Currently, Pathfynders is a growing software team of developers based out of Orange County, California. They expect to reverse the overwhelming growth of unverified information offered by the users through a simple Google search and in turn, filter out the high-valued content and make it accessible to everyone.